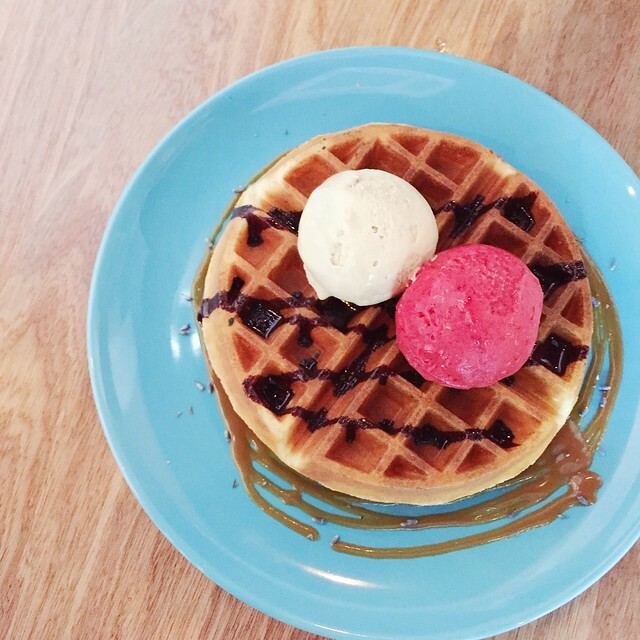 I'm glad that there's another cafe in the East. 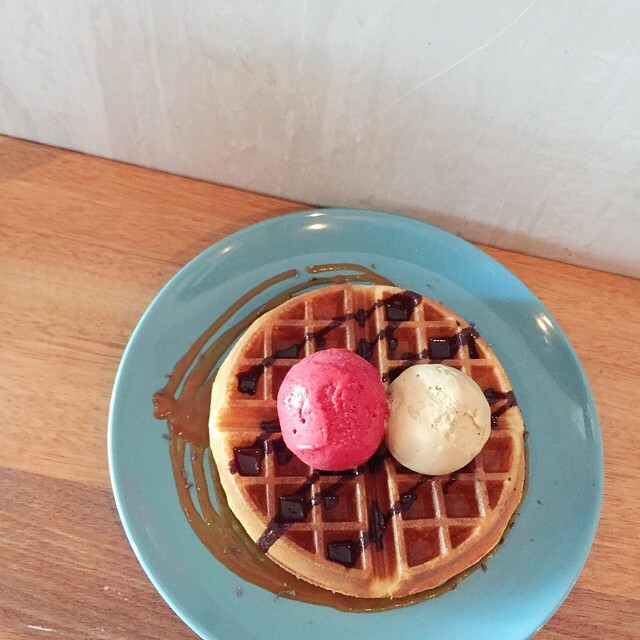 So happy to be living in my hood, so many new cafes and dessert places suddenly spurring out. I'm not complaining though, just that I have a longer list of to-go cafes! 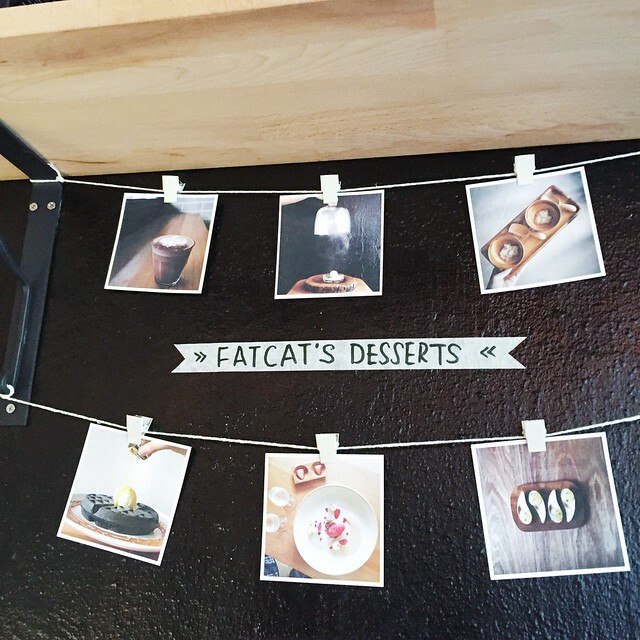 So one day before an early thai food dinner at Nakhon Kitchen(which is nearby), I decided to pop into Fat Cat Ice-Cream bar for some hightea/pre-dinner desserts. 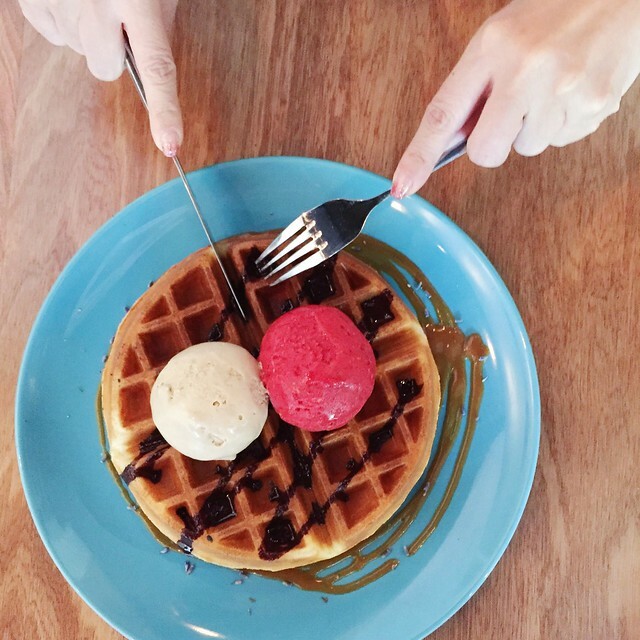 And of course, that calls for some yummy waffles! 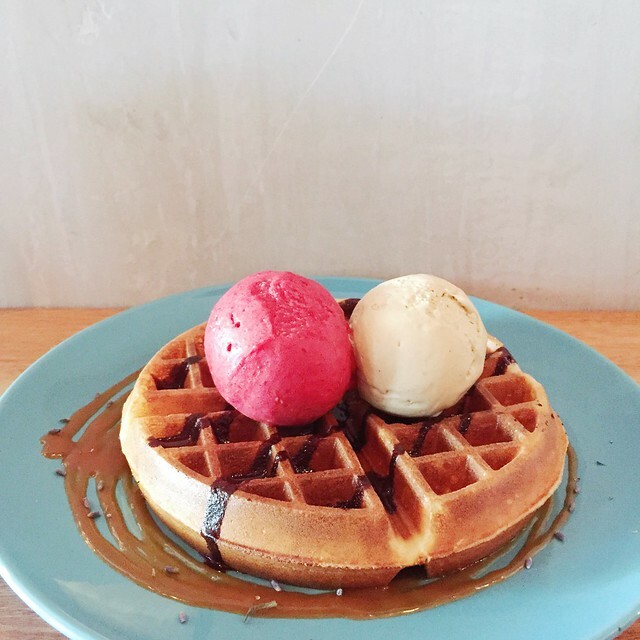 I know Fat Cat is famed for their Salted Egg Black Waffles but I'm not a salted egg person, so I decided to stick with the original buttermilk waffles topped with Raspberry & Macadamia Nut Ice-cream.